In the wake of recent Events|News in Greece, SPERI Co-director Colin Hay spoke live on BBC Radio 5 this week about the consequences of the Greek election, prospects for Greece’s exit from the Eurozone & the implications for the Euro. With this in mind, and warnings of a second credit crunch in Europe in the news today, the subject of the SPERI conference ‘The British Growth Crisis: The Search for a new Model‘, is more relevant and more pressing than ever. 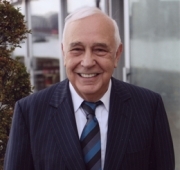 Key note speaker Lord Skidelsky has announced that his pre-dinner talk will be entitled ‘Can growth come out of austerity?’. This is just one of the many important questions that we aim to tackle at the conference and you can be part of the debate. With the early bird offer ceasing two weeks today on 31 May 2012; have you registered?